Need concrete for a small job? 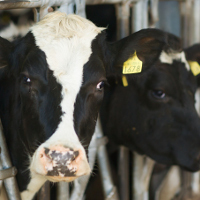 – ensuring quality products, delivered on time. – long-serving, customer-focused, highly trained and reliable. – made from quality aggregates produced in our own quarries. Michael [Keohane] and his team have a long history of supplying L&M Keating with consistently reliable high quality concrete in both our marine and building divisions. The technical expertise offered by Keohane’s is second to none. 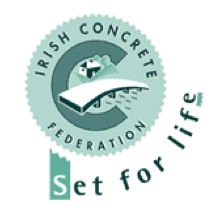 It is my pleasure to recommend Keohane’s Concrete. In many respects, Cahalane Brothers is very similar to Keohane Readymix in that we are both family businesses that have been in operation for many years based out of West Cork. We like to support other local businesses and first began buying from Keohane’s back in 1980. Since then, we have partnered with them on numerous projects. We purchase mainly readymix concrete and blocks but they also supply us with aggregates and sand from time to time. In 2015 we worked with them on the Mill extension for Drinagh Co-op and more recently we completed works on the new Clonakilty Black Pudding building, which we’re very proud of. Keohane’s have excellent technical knowledge and are very reliable in terms of supplying products that comply with all the latest technical standards and they have good follow through on after-sales service for example, concrete cube sampling for quality control purposes. Their service is also second to none – the Keohane family themselves are very hands-on, especially when it comes to big pours, with well-timed deliveries and consistent quality from one load to the next. The level of contact with them is excellent – we know Mike and Eibhlin very well and wouldn’t hesitate to pick up the phone to them if we needed their advice or assistance. The fact that we’re a customer for over 30 years speaks for itself – Keohane Readymix is a very good company to deal with. It is my pleasure to recommend the services of Keohane Readymix. They have supplied MMD Construction with Concrete and Aggregate products for over a decade and in that period we have found that they take a very professional approach from tender stage to delivery and completion stage and have always provided innovative solutions. Keohane Readymix are a very competent, skillful and proficient company and I would have no hesitation in recommending them. Over the years Keohane Readymix have been wonderful supporters of us in Innishannon Tidy Towns. If we need gravel, sand or readymix for a project it is just a phone call away. They receive any request with the utmost courtesy and deliver at any hour convenient to us. They keep all the roads around their gravel pit in pristine condition and if you were to drive along the road fronting their works you would be totally unaware that any industry was going on in there. 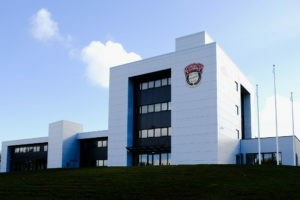 Over the years they have planted and enhanced the surrounding Bandon valley. Their tree planting has been a huge enrichment to our area. Keohane Readymix is an example of a community conscious operation and we in Innishannon Tidy Towns are very appreciative of their support and their environmental concern for the Bandon Valley. We consider ourselves very lucky to have them as part of our community. KPH Construction has been buying from Keohane Readymix for almost 9 years. They deliver various materials to us a number of times every month including concrete, blocks, sand and aggregates. We also use Citymix in Cork city very regularly to deliver bags of sand, small quantities of concrete, blocks, and aggregate. Their trucks are a lovely size for fitting into tight spots around the city. They are extremely accommodating and their drivers very helpful onsite. By this stage, we now know nearly all the drivers and everyone in the office by name. They provide excellent customer service and they couldn’t be more obliging, especially if you’re stuck – they will go out of their way to help you out. I wouldn’t go past Keohane Readymix for all our materials requirements. The product quality is always reliable, as is their service and I’m delighted to recommend them. 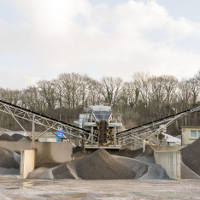 Keohane Readymix aggregates are produced from our extensive deposits of sand and gravel sourced at our own West Cork quarries. The mainstay of our business, Keohane Readymix concrete is produced in our automated plants, using our own aggregates to ensure the highest quality product. 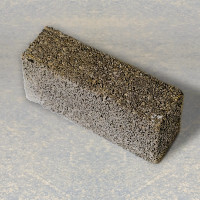 Choose Keohane manufactured superior quality concrete blocks available for a variety of applications. What's the basic shape of your area? Get a bird’s eye view of our quarry at Innishannon! Check out some of the infrastructural projects completed with Keohane Readymix concrete, blocks & aggregate. Our reputation for quality and service is built on their success. 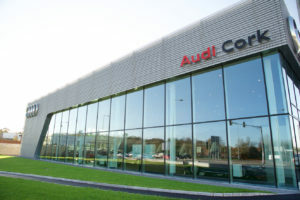 Read how Keohane Readymix contributed to construction of the new Audi Cork showroom and garage in Bishopstown, Cork. 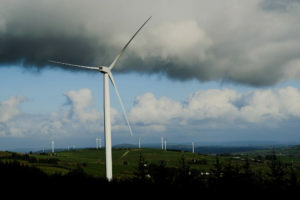 Keohane Readymix supplied readymix concrete and aggregates to Mid Cork Electrical for this recently completed wind turbine project in West Cork. Specialising in small loads in Cork City & suburbs. Get updates straight to your inbox! Join our newsletter. Sign up now and stay up to date with pricing, products, news, projects & more.